The Kessler Second Shooter PLUS is a reimagined counterpart to its predecessor and introduces features and upgrades that stem from thousands of hours in-the-field and requests from an enormous group of talented filmmakers looking to dig deeper into their craft. Kessler has always prided itself on listening and engaging our customers to design and manufacture the best products available and with Second Shooter Plus, we believe we’ve done exactly that. Integrated WiFi allows Second Shooter PLUS to be operated with kOS via iPad as well as connect to motion control accessories such as the Digital Control Center (DCC) for real-time manual control via a joystick. 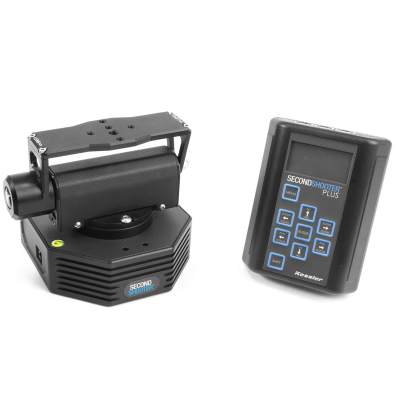 With Second Shooter PLUS’ SurgeTech feature users can take a normal 12V input into the controller and output at 24V to each motor, dramatically increasing available speed and torque. Second Shooter PLUS 2-Axis System (SS2007) incl.